The Netivot Rabbinate kosher claim is fine, but the Russian language translation erroneously lists the product as parve when in essence, it is dairy. The Ben-David Winery based in Moshav Sdei Eliezer in the north is using the OK kashrut symbol on bottles of wine without authorization. This appears on bottles of Merlot 2008, dry red wine. The label states OK-P (Kosher for Passover) but in actuality, the wine has a regular non-mehadrin supervision and is the product of heter mechira grapes. The product has been imported, distributed by the E. D. Smith Company (Pennsylvania, USA) and imported by Mor Yam Marketing LTD, marked “kosher parve – OU) and with import approval of the Chief Rabbinate of Israel. The product’s original label states “OU-d (dairy) while the importer’s Hebrew label says OU, not indicating the dairy classification! The Chief Rabbinate Import Division has not authorized the item as the importer label claims. Stores are instructed to remove the item from shelves. (Item 3 in the original Hebrew document, left side). Flyers advertising the cruises on the SS Rio advertise kosher food under Rabbi Shalom Tzadok. The olive oil manufactured for the above-mentioned company, located at 16 Eliflat Street in Tel Aviv has not received kashrut certification from the Tel Aviv Rabbinate. Nevertheless, the label on the bottles states “kosher mehadrin under the Tel Aviv Rabbinate. The item is not to be accepted in any supervised establishments and the Kashrut Enforcement Division should be notified of all cases in which the oil appears. The company’s website advertises “kosher kitchens” in a number of facilities and persons must verify the validity of the kosher claim to ensure there is appropriate rabbinate supervision. This company located at 25 Merkava Street in Holon packages food items with labels stating “kosher” but lacks Holon Rabbinate supervision. The National Kashrut Division is refreshing its regulations for accepting foods, especially shwarma restaurants due to suspicions of the use/presence of treif (non-kosher) lamb fat as a result of an industry shortage. The amount of fat used to top off the shwarma in stores is considerable, both to enhance the flavor as well as to prevent the shwarma from drying out during the course of the day. This is especially true when shwarma (turkey meat) is used from a male bird. The vast difference in price between the kosher and non-kosher lamb fat presents yet another challenge/temptation for the store owner at a time when the price differential is even greater due to the shortage. Following are eateries that advertise as kosher but lack legal Rabbinate certification or have lost their kosher certification. Gavrieli poultry slaughterhouse – 6 HaPardes Street. Advertises as under the supervision of Rabbinates Tel Aviv and Azor, but lacks a proper Azor kosher certificate. Breezer B’Kfar Restaurant – Moshav Ramot. 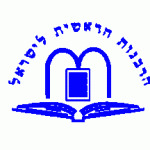 The local rabbinate removed its certification as of May 13, 2010. Boston Salads – Um el-Fahm – kashrut has been revoked. ‘Tuk Tuk’ and ‘Meat Burger’ restaurants, 2 Malka Street and Seibel Park – kashrut removed from both as a result of violations. Piece of Cake Catering – 17 Yehuda Heimit Street: Advertises on the internet as being kosher under the Tel Aviv Rabbinate but he does not have supervision. Pinati Restaurant in Airport City is once again under the Chevel Modi’in Rabbinate. Rami Levy Shivuk HaShikma – salad production in Mishur Adumim is now certified again. NOTIFICATION: From the Office of the Chief Rabbinate of Israel Legal Advisor regarding the National Kashrut Division. 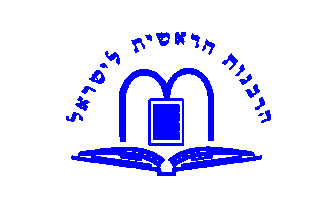 In accordance with the decision of the Chief Rabbinate of Israel of 4 Iyar 5770 (April 18, 2010), and in accordance with the decision of the committee headed by Rabbi Yaakov Sabag Shlita, and the head of the division, the Netanya Rabbinate will oversee the division in places lacking a local rabbinate. The Netanya Rabbinate should be addressed for all questions. (JKN Note, this includes eateries at Ben-Gurion International Airport. The certificates will be signed by the Netanya Rabbinate). As one finds in this update as well as previous updates, many times the enforcement division bulletins write “advertises as kosher but does not have local rabbinate supervision as required by law”. I receive many emails regarding this so please, permit me to explain again. The kosher law of the State of Israel, 1983, compels a business wishing to advertise as kosher to have a valid supervision from a local rabbinate, which in essence is an arm of the Chief Rabbinate of Israel, which is the only agency empowered under the law to grant supervision. At times, one may display a kosher supervision without having a local rabbinate, resulting in the eatery or factory being listed in Kashrut Enforcement Division Updates, since the agency is responsible for upholding the law. For most consumers, it is wise to adhere to the warnings and distance oneself from such places unless one is well versed and knows which private agencies are legitimate or which are bogus. Some of the ‘unauthorized’ agencies simply sell a sign that has no mashgiach or kosher certifying agency standing behind it. When the term “unauthorized” agency is used, it may be making reference to one of the bogus firms operating for profit, duping the public, but at times, it may also refer to a legitimate non-governmental agency. If one cannot be certain, one would be wise to exhibit caution and seek out an eatery displaying a certificate from a familiar agency. There are too many bogus agencies operating, presenting impressive signs to the public, but in reality, do not provide kashrut! Usually, or perhaps in most cases, the legitimate agencies will not grant kosher supervision unless a business has first received local rabbinate supervision, since such agencies do not wish to operate outside the law. Therefore, if one sees a kosher certificate and it is not aside a local rabbinate certificate, in many cases the agency in question is not legitimate and the kashrut of the establishment is in question. The reverse however is not true, and seeing an unfamiliar ‘mehadrin’ sign aside a local rabbinate certificate does not guarantee the legitimacy of the store’s kashrut regarding its mehadrin claim. Posted on June 20, 2010 by JKN Israel. This entry was posted in 5770 - 2009/2010, Chief Rabbinate Updates. Bookmark the permalink.